When you are involved in a car or truck accident to which law enforcement responds, the attending officer or officers should generate a police report. Though you may not be thinking clearly directly after the incident, you should, if possible, remember to request a copy of the report. If you fail to do so—which, understandably, many accident victims tend to do—you can always reach out to the responding force and request a copy after the fact. If you have already contacted our Miami car accident attorneys, we can advise you on how to request a police report or request one on your behalf. 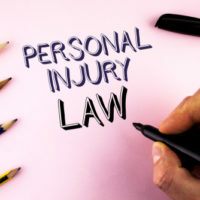 Either way, we need a police report to bolster your personal injury case. Obtaining a copy of the police report is simple and will require little more time than it takes to make a phone call. Look up the name of the responding agency—which should be the name of the town in which the accident took place—and call them to request a copy. Some jurisdictions charge a small fee for photocopying, but many generate copies free of charge. Likewise, some agencies require you to pick the report up in person while others will mail it. Information of key witnesses who can attest to how the incident occurred; this information can provide leverage during discussions regarding fault. Upon receiving the police report, you may be tempted to alter a few facts to make it more in line with your account of the story. Do not do this, even if the information in the report is grossly inaccurate. Instead, dispute the error with the department who wrote the report. Sometimes the amendment process is as simple as adding your own statement to the report (with permission from the officer) but other times, such as when you wish to dispute fault, the matter may be more difficult to resolve. If you or a loved one was involved in a car or truck accident in Miami, there are certain steps you should take in the immediate aftermath of the accident to ensure the best possible outcome to your claim. Contact the Miami car accident lawyers at Spencer Morgan Law to learn more about your rights and responsibilities today.